A man has jumped from an escalator at Victoria Station following a 16 hour standoff with police. British Transport Police have confirmed the man jumped from the escalator and suffered head injuries. Police used an air cushion to break the man’s fall before he was taken to hospital. Specialist negotiators spent the day engaging with the man and working to bring him to a place of safety. A police stand-off with a "vulnerable" man on an escalator in London's Victoria Station has been taking place for more than 15 hours. The paneling fell on two girls whilst on route to Victoria at about 8am. A marketing graduate who landed his dream job after holding up a placard at Victoria station has gone back to the same spot to give others a helping hand. 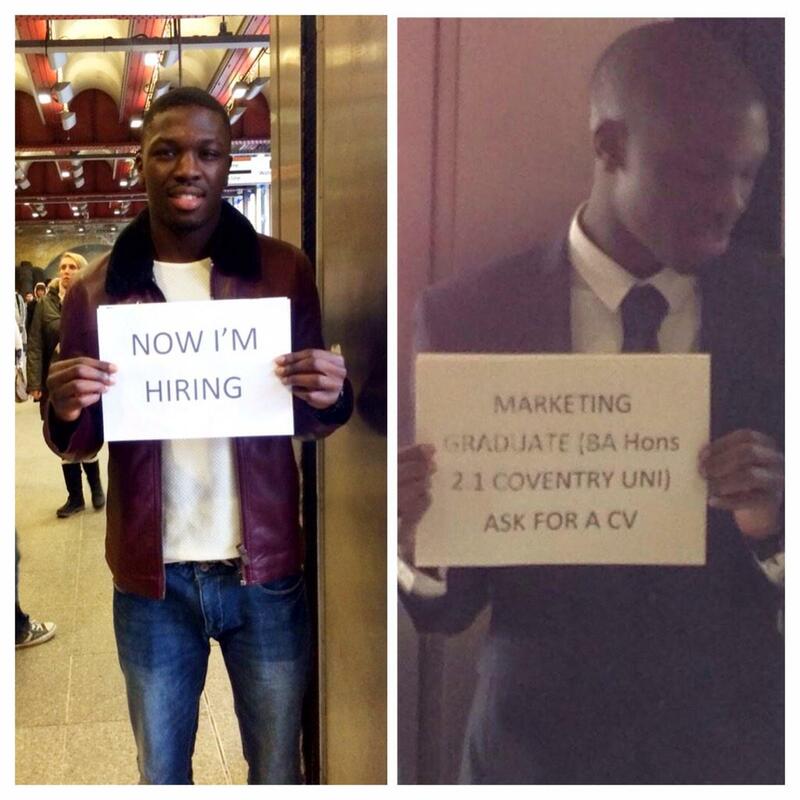 22 year old Alfred Ajani posted the before and after picture on Twitter under the heading "Same spot - different sign". The picture has been re-tweeted hundreds of times and he has been inundated with requests for jobs on the social media site. Mr Ajani landed a job at a recruitment company in the capital after holding up the original placard in August. He told ITV London at the time that, like many young graduates, he had struggled to find work after university - but the response to his unusual job advert had been "much better than expected", with even the offer of a position in Barcelona. Police are looking for a man who grabbed the 46 year old's wheelchair, tilted it backwards and began swearing at her. 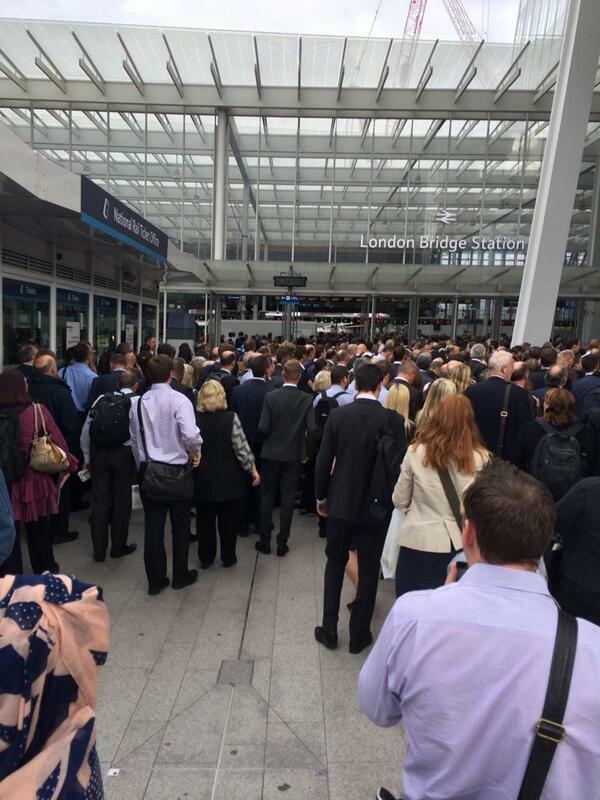 First Capital Connect says trains between London Bridge and East Croydon are being delayed by up to 20 minutes because of an earlier problem at London Victoria. 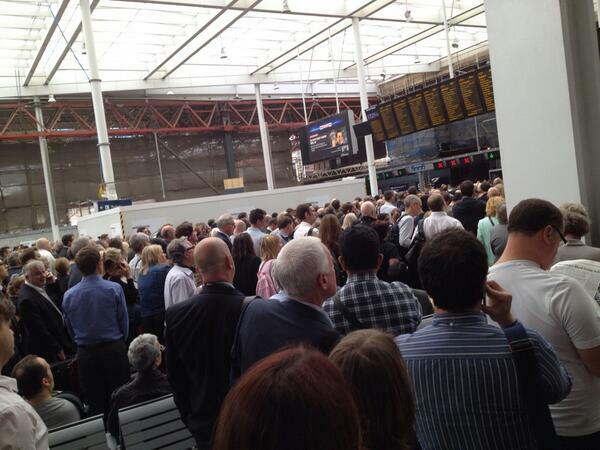 Commuters are describing Victoria Station as 'mayhem' after the suspension of services earlier caused major delays. Services to and from Victoria station were put on hold ahead of rush hour as police and the fire brigade dealt with the due to a ruptured gas cylinder near Battersea Power Station. Absolute carnage at Victoria mainline station. Total mayhem. Avoid at all costs. Huge delays and frayed tempers. The tension mounts. "Police were called to Battersea Power Station, Cringle Street, at 3.17pm after a suspected industrial gas canister was found. "No residents have been evacuated. Trains are now running again. London Fire Brigade continue to work with police on scene to make the device safe. Road closures are in effect." The 18.05, 18.20, 18.35 and 18.50 Gatwick Express services to London Victoria have been cancelled. INFO: Following emergency issue at #BatterseaPark, lines have reopened but delays of 80 mins should still be expected. A gas cylinder has ruptured on Kirtling Street in Battersea. We've put in a hazard zone as damaged cylinders can explode when unstable. We've reduced the hazard zone to 25 metres at the leaking gas cylinder incident on Kirtling Street in Battersea.